Whilst on our travels over the Christmas period I took the opportunity to pop into a BM store as there isn’t one that local to me. 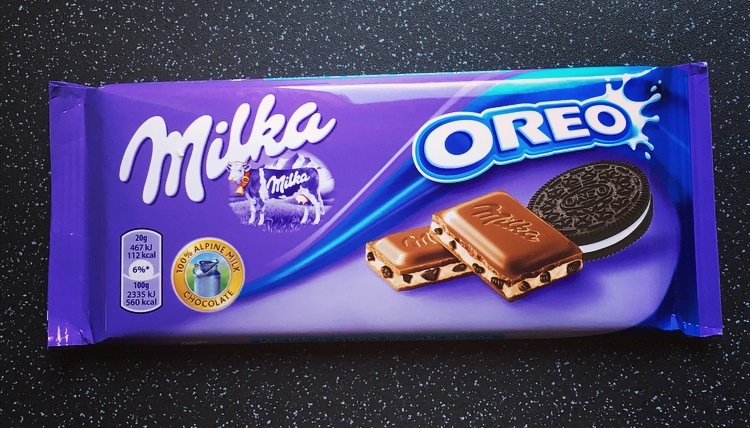 Perusing the aisles I came across this Milka Oreo bar and at a bargain price of 99p I could not resist buying it. We all know that Cadbury Dairy Milk have attempted the Oreo and to be fair it’s not that bad, but it could be better. 100% Alpine milk chocolate and original crunchy Oreo cookie pieces. Unlike the Cadbury version, Milka is a lot flatter and does not pack as much filling. The Oreo pieces are varied in size with most being finely chopped, yet are still evident within the creamy filling as well as from the outside. With the signature Milka etched on the top, the 100% Alpine milk chocolate is deliciously creamy, silky and melts in the mouth. The Oreo pieces were littered throughout the bar and were nice and crunchy giving it that contrasting texture and bite. 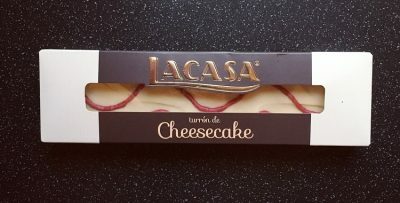 What with the milk chocolate, creamy filling and crunchy biscuits, I was pleasantly surprised about how it was not overly sweet like some chocolate bars that have incorporated other goods. If there was one criticism it would be that the Oreo flavour is somewhat lost amongst all that creamy filling. You can definitely distinguish the Oreo pieces within the chocolate however the signature Oreo taste is barely there. 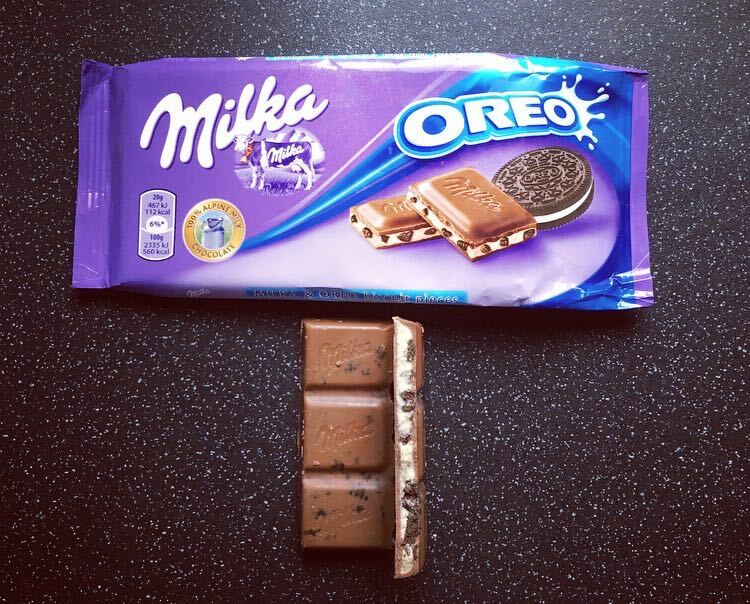 Milka need to either up the Oreo or make the chunks bigger. That said this Milka Oreo bar is still delicious and I had no problem eating the whole bar, and hands downs this trumps Cadbury’s Dairy Milk Oreo. 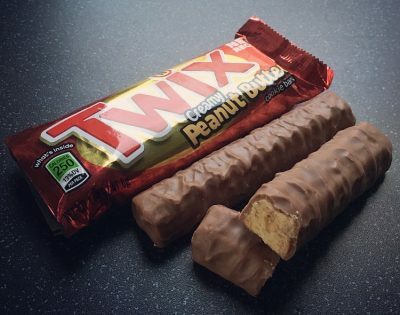 My one regret was not buying a few of these bars!